LG has launch its Google Assistant smart display today, and is taking off $100 for the gadget for a limited period of time. 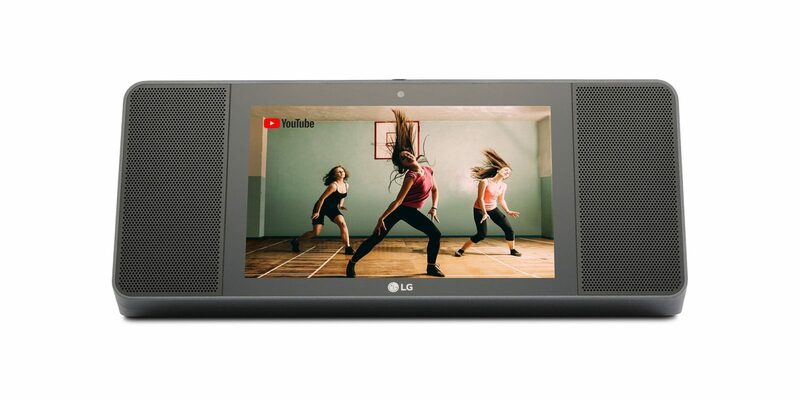 The LG smart display, XBOOM AI ThinQ WK9, sports similar specs that we've seen on JBL's Link View, and Facebook's Portal. WK9 comes with an 8-inch touch display, a camera for Duo video calls, built-in Chromecast, Google's Android Things-based smart display OS and other features. The smart display comes with 20W XBOOM artificial intelligence speakers to give the WK9 a distinct sound. LG partnered with Meridian Audio for the audio output. According to LG, the XBOOM AI speakers produces a sound quality which is exceptional and beautifully balanced. As a Google Assistant, the WK9 responds to "Hey Google" or "OK Google" voice command to control home your smart home devices, lookup stuff on the Internet and performs other actions. The WK9 smart display can also be used to control LG's home appliances such as Air conditioner, Watching machine, Robot Vacuum, Air Purifier, Refrigerator and more. Launched in the US, LG is selling the smart display Google Assistant for $300 which is the most expensive smart display on the market. However, the electronic giant is offering $100 off the product for the holiday season. The LG product is available for purchase on LG's website, and also on B&H. LG plans to later launch the WK9 smart display assistant in other markets around the world.